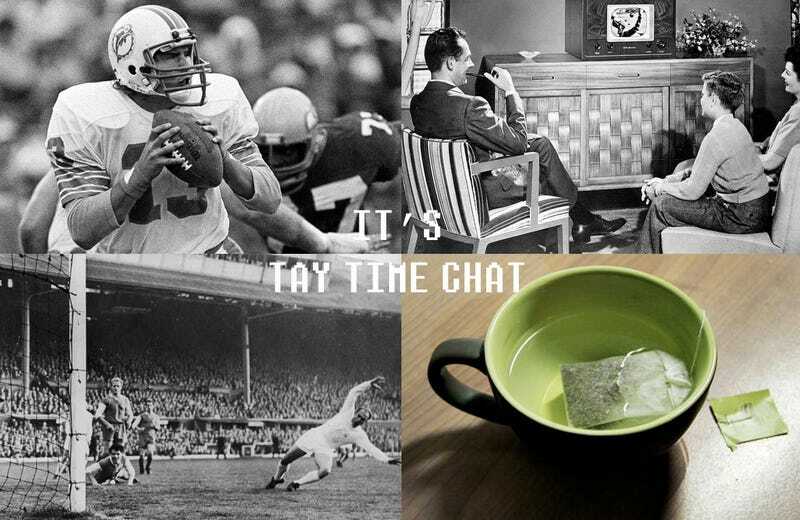 TAY Time Chat: Football X2, TV, TEA! Hells yeah! Rivalry between brothers, Dolphins surviving in Indianapolis, Chicago turns the game with just a few seconds left on the clock and much more! it's the second week of the NFL roundup! It's all tied on the Monday Night Football in England, as Swansea comes back from losing by one goal against Liverpool! And if you are craving a European Football roundup, where to the dismay of Hyper Chelsea lost at Goddison Park, and Sunderland were robbed by the referee in their game against Arsenal and last but not least a preview for the upcoming Champions League games, check Football Weekly from the Guardian conducted by some bald guy. Another take for the upcoming GTA V, where it all points to a big BUY IT! If Totilo hadn't convinced you already to go and buy that wonderful masterpiece. Oh... how I wish to make a montage of Max Payne best scenes to the rhythm of Fly Me To Brazil by The Pinker Tones. Kevin Spacey reminds us why he's Kevin Spacey. And with that I'm off for today, be sure to return tomorrow where Astro will be back to entertain us with her take of TAY Time Chat ^.^ also be sure to check Monday Brunch and the Off-TAYpic discussion (strangely absent today... oh well go check the Open Forum by Morie, or the one where she expresses her love for Persona 4) in TAY Classic.